Stand out from the rest of the field in the Junior Team Short. Our Canterbury kidswear range continues the same tradition of excellence you can expect from our adult apparel range. This 100% polyester short comes with cutting-edge fabric technologies and features a water-resistant and anti-static finish, so junior athletes can stay dry and comfortable even with the most challenging of training programs. With a perforated side panel for breathability, this item has been manufactured for maximum comfort as well as free range of movement. 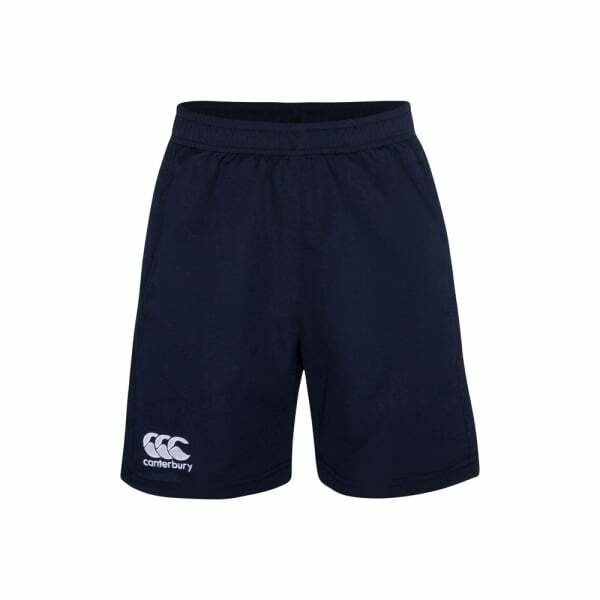 Complete with embroidered branding, this short ensures you’ll stand out from the crowd whether you’re in sports class or playing a game with mates on the field.